From past one and a half months, I was deployed on a client site in the United Kingdom. It was perhaps the most challenging project I had ever undertaken - not because of its complexity or the sheer volume of work. Funny as it may sound, I was just provided a couple of weeks to prepare the operation documentation for a wide variety of travel products whose development itself took nearly two years to complete. After working non-stop for 14 hours a day in absolutely trying conditions, the last thing you'd want to confront is illness. Phew, the worst is behind me now. Not only did I manage to complete the work on time, I even received a lovely client endorsement. Flattering to say the least! So there, I'm glad to return on the blog after a lengthy hiatus, picking up from where I left. Last week I received an invite from the Tourism Authority of Thailand (TAT) in New Delhi to celebrate a traditional Thai festival called "Loi Krathong". 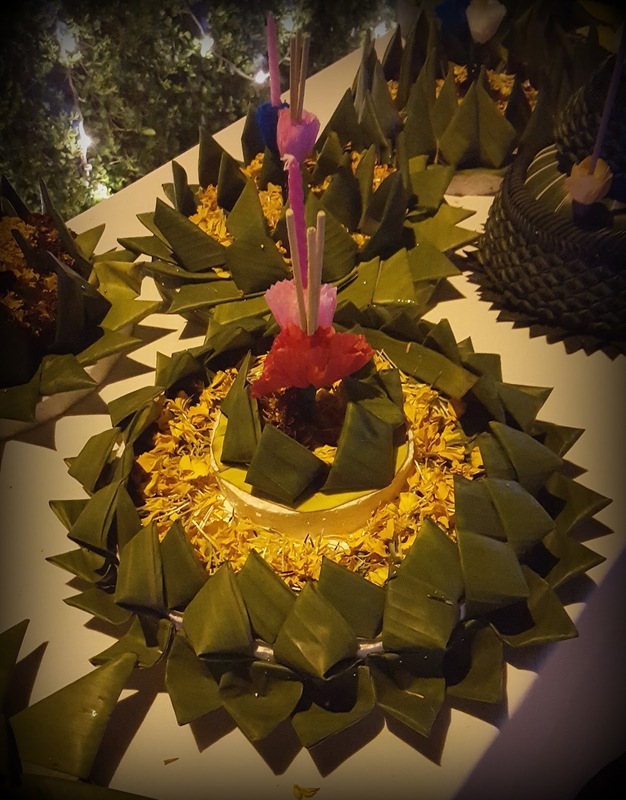 I was the first blogger to reach the pool area of the hotel, which was transformed into a purposely-built performance stage and a pond, for invitees to experience the ritual of "Loi Krathong". 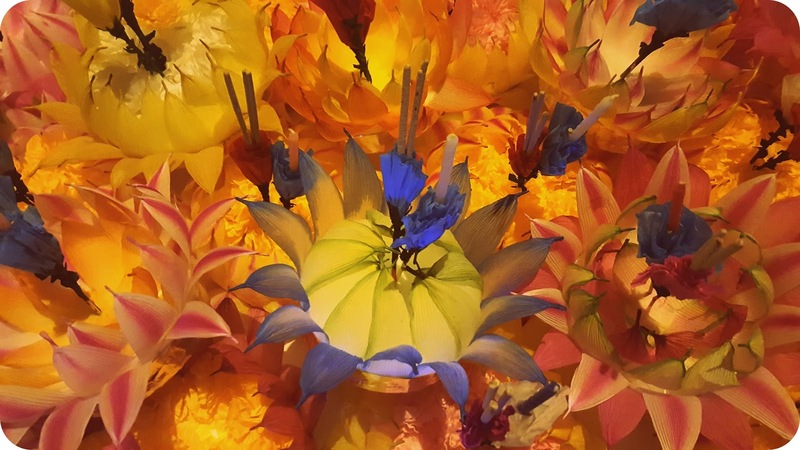 Just like Deepavali, the Loi Krathong festival is also hailed as the 'festival of lights' and is celebrated throughout Thailand every year on the evening of twelfth lunar month. This year, it will be celebrated on Wednesday, November 25, 2015. Having spent a significant amount of time in South Korea, I couldn't help but draw similarities with the Lotus Lantern Festival, which is held every year in the honor of Lord Buddha's birth. 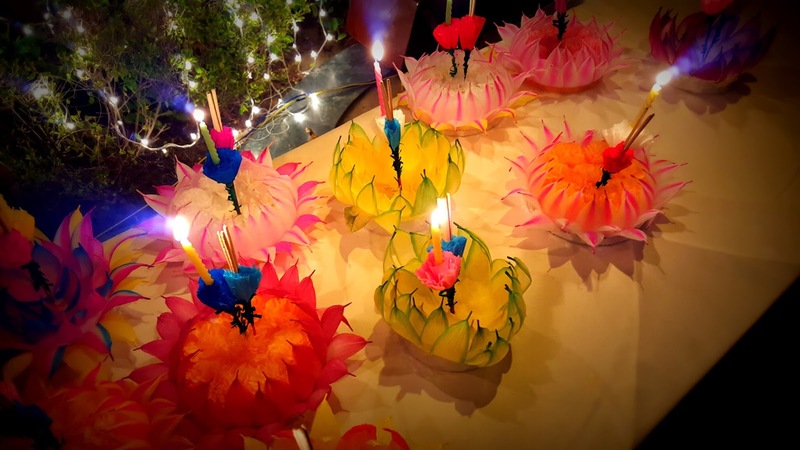 In Thai, 'Loi' means 'to float' and 'Krathong' refers to 'a Lotus shaped container that floats on water'. 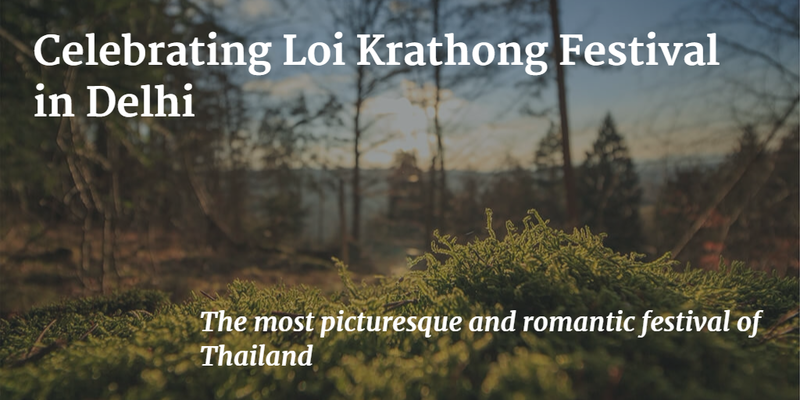 The festival holds a romantic significance in the lives of Thai couples who come together on this auspicious day to float their krathongs in the river. By doing so, they pay homage to the God of river, ask for forgiveness for polluting waters, and pray for good luck, health and prosperity. Once the water all across becomes live with candlelight, it is truly a sight to behold. 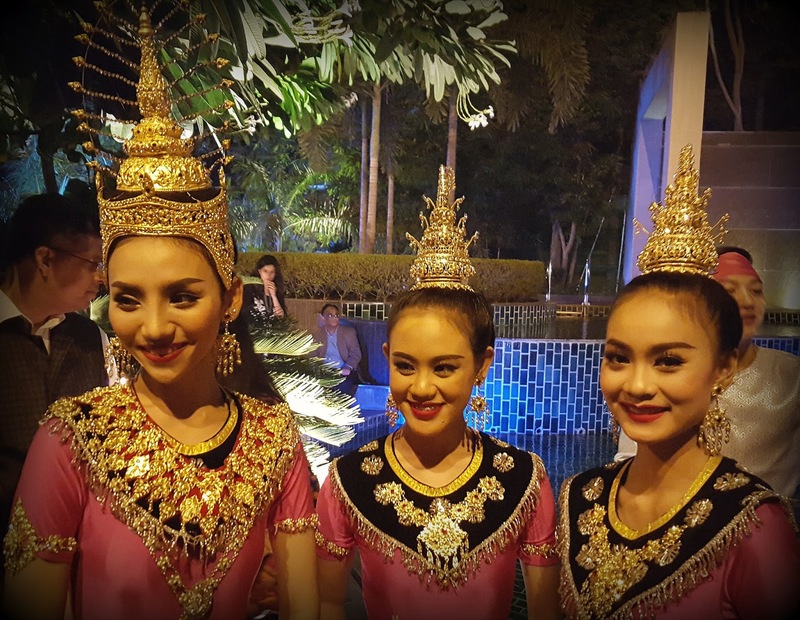 The highlight of the evening was resplendent cultural performances put together by a group of Thai dancers and musicians, specially flown in from Chiang Mai, the northern region of Thailand. 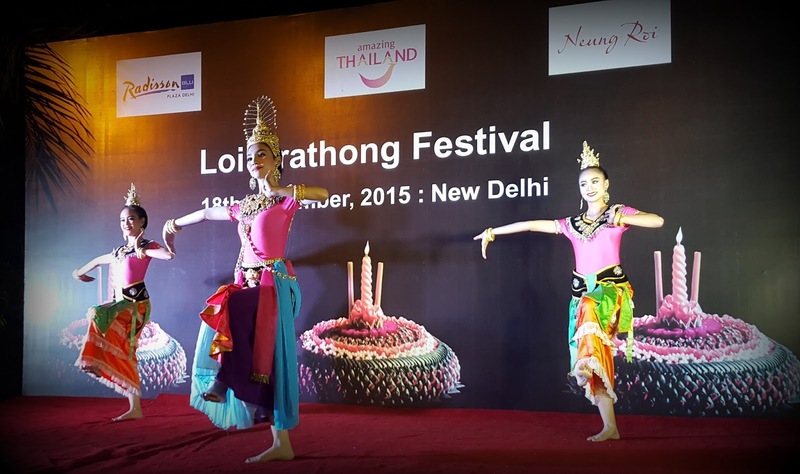 The performances included a lively long drum procession and a Thai boxing demonstration (popularly known as Muay Thai). I thoroughly enjoyed the traditional dance ritual and the parade of Miss Loi Krathong in which she was carried on a palanquin to the pool site where she invited the guests to release the candle lit krathongs. 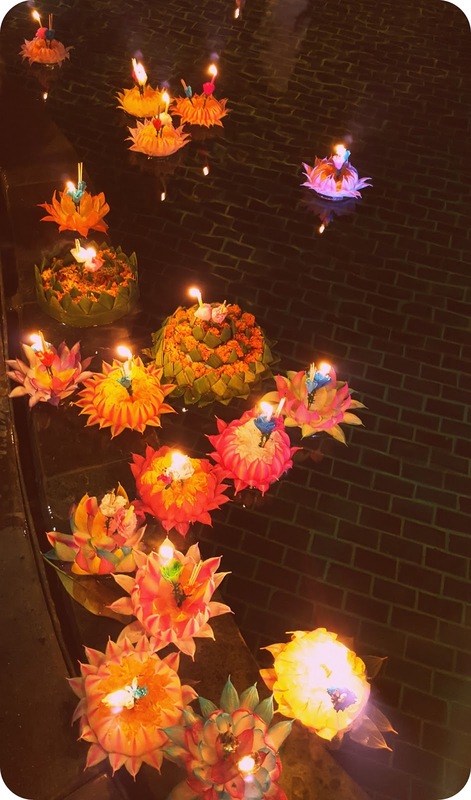 For the uninitiated, lit candles and joss sticks are placed on Lotus shaped baskets made from Banana leaves and its trunk, before they are submerged in water. The evening came alive as several floating candles lit up the water bodies and lawn. Later at the festival, I also savored the world-famous Thai cuisine, courtesy Neung Roi Thai restaurant (the popular Thai restaurant at the Radisson Blu Plaza Delhi). 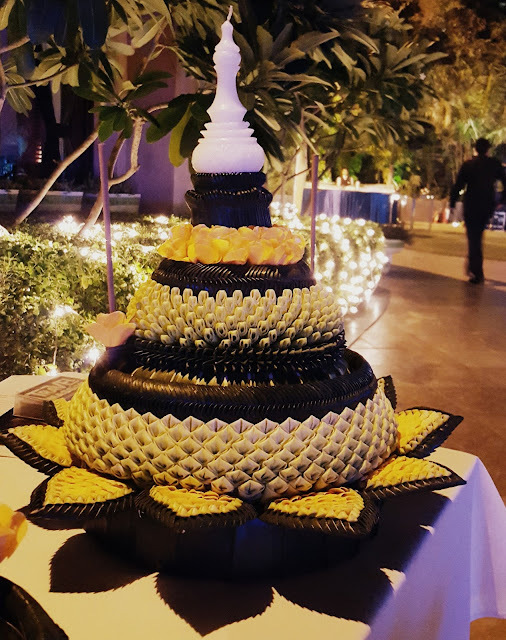 For someone like me who is curious to know about different cultures, it was a joy to celebrate the Loi Krathong festival with the amazing Thai people. Beyond doubt, this seems to be one of the most picturesque and romantic festivals of Thailand. I definitely want to visit Thailand now and Discover Thainess with all its simplicity and panache.